Yes, quite delicious news is upon us! 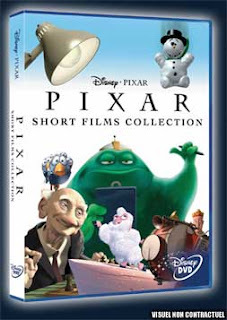 It seems that Pixar will be releasing a shorts DVD with all of their current and past presentations. It will be released both on Blu-Ray and DVD. The Adventures of Andre & Wally B (1984) André is awakened in a forest by a pesky bee named Wally B. When André points in a different direction, the bee looks away and André gets his chance to run away. Wally chases André and eventually catches him, reappearing with a bent stinger.